Details on how to win an ebook copy of this book at the end of the review and links to purchase it. Not yet fifty years old, professor Cleo Mack has been given a month to decide if she wants to continue teaching or take up an unexpected offer of early retirement from her university. On her way down from Atlanta to visit her daughter in Savannah, Cleo stops off in the ideal-looking town of Fairhope, where its charming village community has her tempted to make it her new home. Helping her to decide are new friends Nita and Jim Bergen, who encourage her to visit them at their charming apartment in the Harbor Village retirement community. It’s Jamie Barnes who offers Cleo the most surprising opportunity though, offering Cleo a part-time job in Resident Services. Her first duty may actually be that as investigator when the body of their Executive Director turns up floating in one of their pools. Even more shocking is the late Lee Farrell’s relationship to Cleo, which not only brings into town Cleo’s ex-husband, but places him high up on the suspect list. Cleo may be happily divorced form Travis McKenzie, but that doesn’t mean she wants to see her daughter’s father suffering. So with Jamie promoted and out of town, it’s up to Cleo to decide if the lackadaisical record-keeping and inventory control of Harbor Village may have led to Lee’s death. 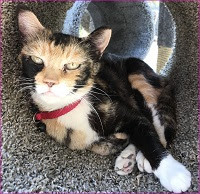 While attempting to cater to the demands of the senior residents definitely has Cleo challenged and jumping, she will have considerable support from her adept group of domino players who are more than clever enough to match the police in wit and nosy investigative skills. Cleo isn’t the only one who will find Fairhope’s Harbor Village to be the ideal embodiment of a cozy mystery village. Cleo emerges as a strong new heroine for readers to admire, beginning a new career while also adjusting to an entirely new lifestyle. Her profession of teaching social work to college students gives her the confidence to set the rules with her adult daughter, not to mention establishing borders with Cleo’s ex-husband. The unique setting within a retirement community is itself fresh and realistic, and without stereotypes within its varied residents. 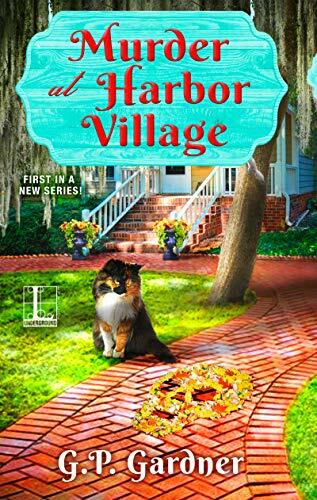 Readers will be able to keep pace with the elaborate plots and intrigue within Harbor Village, but they should still be caught off-guard by the final reveal. This is the start of a highly promising new series led by a character whose adventures are sure to be as entertaining as they are fascinating. To enter to win an ebook copy of Murder at Harbor Village, simply email KRL at krlcontests@gmail[dot]com by replacing the [dot] with a period, and with the subject line "harbor,” or comment on this article. A winner will be chosen February 2, 2019. U.S. residents only. If entering via comment please include your email address. You can read our privacy statement here if you like. Thanks for the review. New to me author. New author to me. Looking forward to reading the book. Would love to read this! Have had it on wish list since I first saw advertised; thanks for the chance to win!